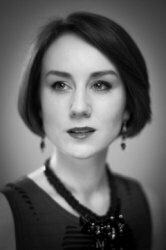 I am an experienced singing and piano teacher (with ages 4-70+) and have performed opera across Europe. I completed my postgraduate studies at the Royal College of Music and my undergraduate at Durham University. I am very comfortable with absolute beginners to more advanced students. Aside from teaching a wide age range of students privately, I have also worked with choirs such as the National Youth Choirs of Great Britain as well as church and school choirs. When teaching music, I feel that it’s important to offer a comprehensive understanding of music to greater appreciate the context, meaning and influence of repertoire. For this reason, I aim to deliver comprehensive musical understanding to my pupils wherever it may foster their interest in singing, piano and music. I am also able to draw from my own professional experience on the operatic stage.